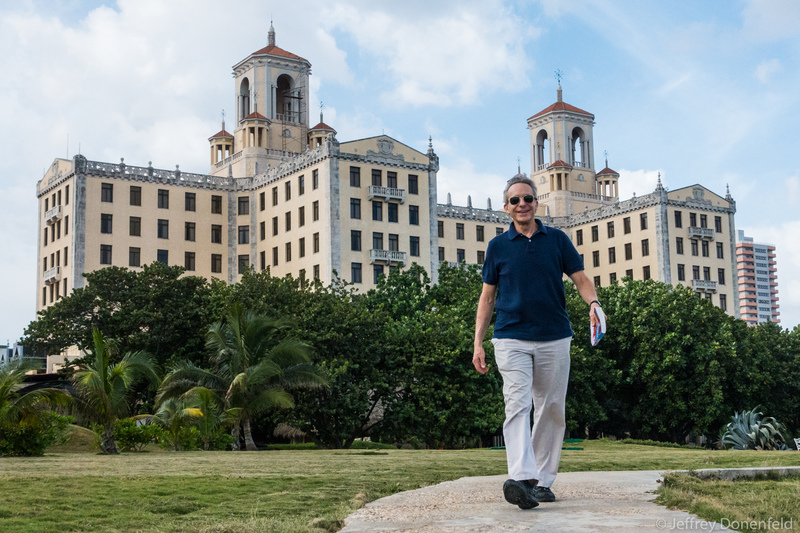 My father walking around the Hotel Nacional, central Havana. This is right around the area where many of the missiles involved in the Cuban Missile Crisis were stationed. From Wikipedia: The hotel was built on the site of the Santa Clara Battery, which dates back to 1797. Part of the battery has been preserved in the hotel's gardens, including two large coastal guns dating from the late 19th Century. There is also a small museum there featuring the 1962 Cuban missile crisis. During the crisis, Fidel Castro and Che Guevara set up their headquarters there to prepare the defence of Havana from aerial attack.